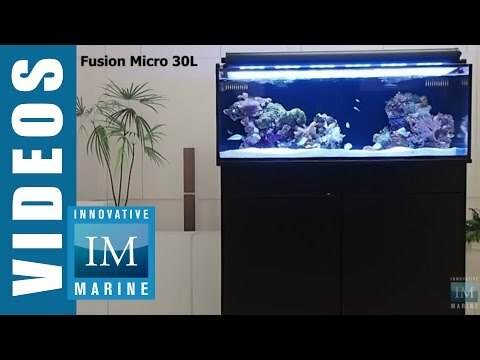 The NUVO Fusion Mini 40 represents everything we love about Reef Keeping and features that will boost your hobby’s experience to the next level; it’s not just the next aquarium, but what the next aquarium should be. We have upscaled our luxurious midsize aquariums by merging the premium features of our Full Size SR-Series aquariums with the Award Winning customizable filtration system of our NUVOs. This perfect blend gives you 10-15% more room for aquascaping, the highest clarity viewing, a screen lid that removes excess heat and provides maximum light penetration, and the cleanest and clearest water possible. Been in the hobby for over 25 years. This tank is awesome for the money cannot go wrong with this tank. I deliberated for months on which one to get and looked at multiple systems until I came across this one and took a chance. I am beyond thrilled with it. It looks beautiful. The glass is heavy and crystal clear. I love the design of the sump as well - you can easily add a refugium to it, which I did by replacing the filter socks with the Media gadget basket. Even the stock pump is great with a good flow. I LOVE the height of the tank. Many of the tanks out there are 12 inches high and this one is 18, giving you more viewing area. The tank has a very sleek, clutterless and modern looking. LOVE THIS TANK!! I've been in the saltwater hobby for several years. Let me just say this tank is amazing! Talk about low maintenance and ease of setup. I have only had the tank setup for 1 day and I can already tell I made the right decision. I'm going to leave at that, buy this tank! !